Aries statesman Thomas Jefferson was the third President of the United States. He wrote one of history’s most famous documents, the Declaration of Independence. He was an architect, violinist, inventor and linguist who spoke numerous languages, as well as a philosopher who was knowledgeable about mathematics, surveying and horticulture. But his most laudable success came in 1789, when he procured the French recipe for macaroni and cheese while living in France, and thereafter introduced the dish into American cuisine. JUST KIDDING! I’m making this little joke in the hope that it will encourage you to keep people focused on your most important qualities, and not get distracted by less essential parts of you. In the early 1990s, Australian electrical engineer John O’Sullivan toiled on a research project with a team of radio astronomers. Their goal was to find exploding mini-black holes in the distant voids of outer space. The quest failed. But in the process of doing their experiments, they developed technology that became a key component now used in Wi-Fi. Your digital devices work so well in part because his frustrating misadventure led to a happy accident. According to my reading of your astrological omens, Taurus, we may soon be able to make a comparable conclusion about events in your life. In the fictional world created by DC Comics, the superhero Superman has a secret identity as a modest journalist named Clark Kent. Or is it the other way around? Does the modest journalist Clark Kent have a secret identity as the superhero Superman? Only a few people realize the two of them are the same. I suspect there is an equally small number of allies who know who you really are beneath your “disguises,” Gemini. 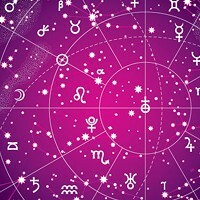 But upcoming astrological omens suggest that could change. Are you ready to reveal more about your true selves? Would you consider expanding the circle that is allowed to see and appreciate your full range and depth? Playwright Tennessee Williams once spent an evening trying to coax a depressed friend out of his depression. It inspired him to write a poem that began like this: “I want to infect you with the tremendous excitement of living, because I believe that you have the strength to bear it.” Now I address you with the same message, Cancerian. Judging from the astrological omens, I’m convinced you currently have more strength than ever before to bear the tremendous excitement of living. I hope this news will encourage you to potentize your ability to welcome and embrace the interesting puzzles that will come your way in the weeks ahead. Between Dec. 5 and 9, 1952, London was beset with heavy fog blended with thick smog. Visibility was low. Traffic slowed, and events were postponed. In a few places, people couldn’t see their own feet. According to some reports, blind people, who had a facility for moving around without the aid of sight, assisted pedestrians in making their way through the streets. I suspect that a metaphorically comparable phenomenon may soon arise in your sphere, Virgo. Qualities that might customarily be regarded as liabilities could at least temporarily become assets. Your allies are always important, but in the coming weeks they will be even more so. I suspect they will be your salvation, your deliverance and your treasure. So why not treat them like angels or celebrities or celebrity angels? Buy them ice cream and concert tickets and fun surprises. Tell them secrets about their beauty that no one has ever expressed before. Listen to them in ways that will awaken their dormant potentials. I bet that what you receive in return will inspire you to be a better ally to yourself. In 1936, Herbert C. Brown graduated from the University of Chicago with a bachelor’s degree in science. His girlfriend Sarah Baylen rewarded him with the gift of a two-dollar book about the elements boron and silicon. Both he and she were quite poor; she couldn’t afford a more expensive gift. Brown didn’t read the book for a while, but once he did, he decided to make its subject the core of his own research project. Many years later, he won the Nobel Prize in Chemistry for his discoveries about the role of boron in organic chemistry. And it all began with that two-dollar book. I bring this story to your attention, Sagittarius, because I foresee you, too, stumbling upon a modest beginning that eventually yields breakthrough results. In 20 B.C., Rome’s most famous poet was Quintus Horatius Flaccus, known to us today as Horace. He prided himself on his meticulous craftsmanship, and advised other writers to be equally scrupulous. Once you compose a poem, he declared, you should put it aside for nine years before deciding whether to publish it. That’s the best way to get proper perspective on its worth. Personally, I think that’s too demanding, although I appreciate the power that can come from marshalling so much conscientiousness. And that brings me to a meditation on your current state, Capricorn. From what I can tell, you may be at risk of being too risk-averse; you could be on the verge of waiting too long and being too cautious. Please consider naming a not-too-distant release date. Luckily, you have an inventive mind and an aptitude for experimentation. These will be key assets as you dream up creative ways to do the hard work ahead of you. Your labors may not come naturally, but I bet you’ll be surprised at how engaging they’ll become and how useful the rewards will be. Here’s a tip on how to ensure you will cultivate the best possible attitude: Assume that you now have the power to change stale patterns that have previously been resistant to change. May I suggest that you get a lesson in holy gluttony from a Taurus? 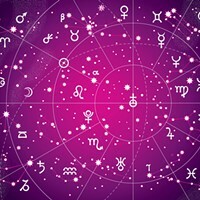 Or perhaps pick up some pointers in enlightened self-interest from a Scorpio? New potential resources are available, but you haven’t reeled them in with sufficient alacrity. Why? Why oh why oh why?! Maybe you should ask yourself whether you’re asking enough. Maybe you should give yourself permission to beam with majestic self-confidence. Picture this: Your posture is regal, your voice is authoritative, your sovereignty is radiant. You have identified precisely what it is you need and want, and you have formulated a pragmatic plan to get it. In what circumstances do you tend to be smartest? When do you tend to be dumbest? Testify at Freewillastrology.com.